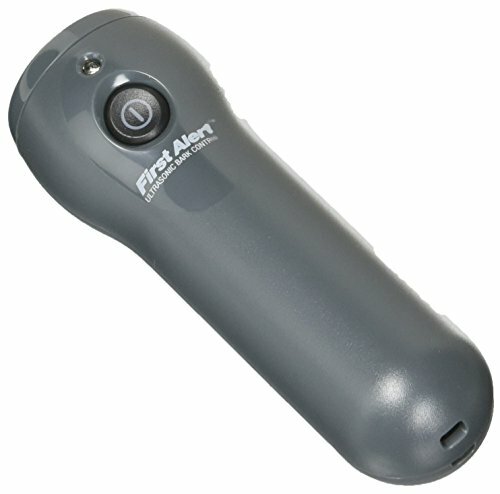 Help your dog behave with the First Alert Bark Genie Handheld Bark Control Device. With a simple press of a button, this bark deterrent emits an ultrasonic sound that only dogs can hear, safely and painlessly deterring them from barking. The anti-barking device is designed to be effective up to 15 feet away and works on all breeds of dogs. It comes with an adjustable wrist strap for easy carrying and operates on 4 AAA batteries (not included). And because it's handheld, you can use the First Alert Bark Genie Handheld Bark Control Device in the yard, in the park, or anywhere you and your dog may roam. Bobbi Panter Snarly Dog Conditioning Spray 8 OZ.